It’s no secret at our Dallas wedding venue that blue is in this season! 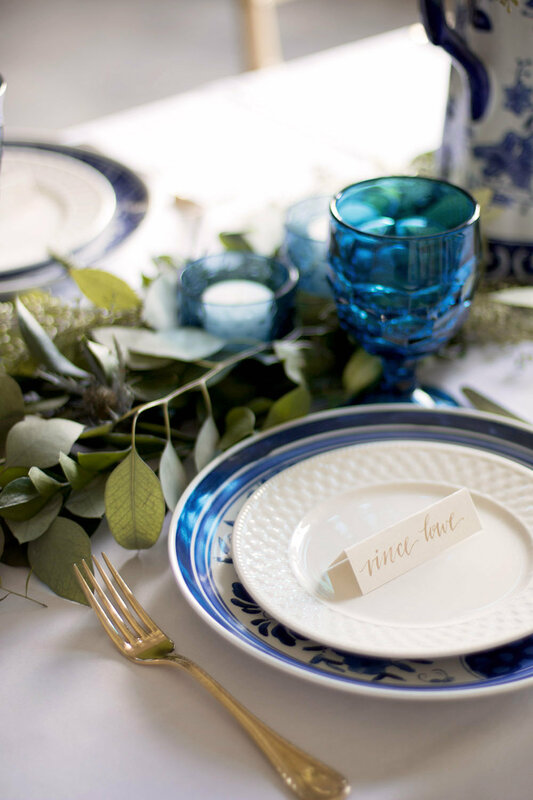 From pastel Pantone serenity to bright cobalts and dusty hues, blue is taking the wedding industry by storm. And it’s easy to see why! We are loving this new twist on feminine color palettes. Thanks to Katie Jane Photography, we had the opportunity to host a gorgeous styled shoot featuring some truly stunning wedding details in brunch-themed session. Pretty braided hair, elegant lace, and pops of vibrant sapphire blue have our hearts aflutter. The earrings, blue glass, and charming plates tie blue hues together throughout the space, keeping a cohesive style across the board. Add a touch of handlettered calligraphy, adorable macarons, and flowers bursting with luscious greens to complete the look. Oh, and can we keep that beautiful mimosa bar around every day? This shoot strikes the perfect balance between elegance and whimsy. 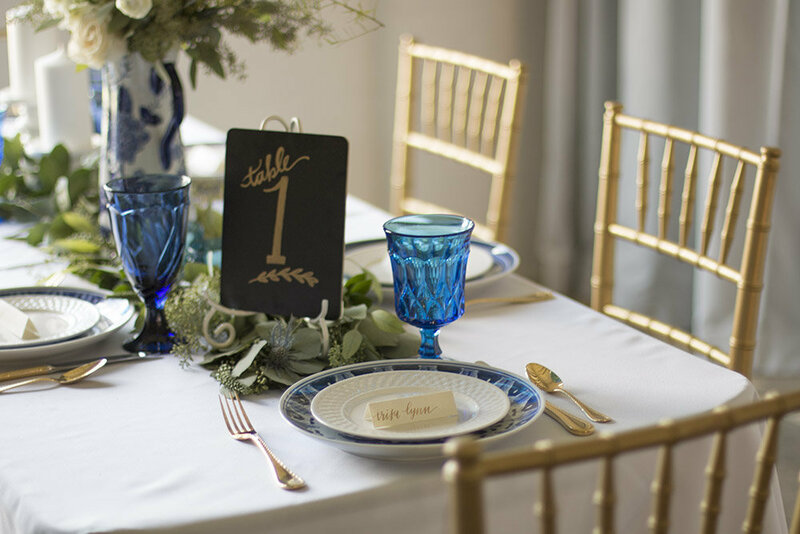 The pops of cobalt keep this shoot fun and light, while all the carefully curated details elevant the event to an utterly elegant look. We are honored to say this shoot was featured on Burnett’s Boards. Photography: Katie Jane Photography // Event Planning: Borrowed & Blue // Floral Design: Petals Couture // Cake & Sweets: The Hospitality Sweet // Wedding Dress: Circle Park Bridal Boutique // Hair & Makeup: Anastasia Strattan // Invitations: Zuka Creative // Calligraphy: She, In The Making // Videography: GoMan Productions // Groom Model: Logan Chitwood // Bride Model: Candace Powell // Rentals: Posh Couture Rentals // Venue: The Empire Room Dallas wedding venue. Love what you see? Let’s make it happen! Schedule a tour of our open-concept Dallas wedding venue. We’d love to hear about your wedding day dreams and help you craft a game plan for making it happen. Whether you’re dreaming in sapphire or bringing a fresh new palette to the table, we hope you’ll bring all the details to life at The Empire Room.